I grew up as an avid athlete, competing in practically any sport that could distract me from doing homework. At a very young age, I was fortunate to realize that physical activity was my absolute favorite part of being human. My mother was a genius. She enrolled me in every sport she could think of and in an attempt to wear me out before I got home. She knew that if I was supertired by the end of the day, her life would be way easier. Her mission was to feed me dinner and put me to sleep. Because of that, I played soccer, baseball, basketball, more soccer, more soccer and more baseball. I remained very active throughout high school and college, and, despite my penchant for frequent exercise, I developed Type 1 diabetes during my senior year of college. Unlike most Type 1 diabetics who usually get diagnosed sometime in adolescence, I was 22. I was the first to admit that I didn’t know anything about diabetes. All I knew was that it had something to do with chocolate cake and syringes. I had never devoted any time to understanding diabetes at its root. Now I had no choice but to get to the heart of the matter. Strangely enough, Type 1 diabetes was my third autoimmune condition—I had developed autoimmune Hashimoto’s thyroiditis (hypothyroidism) and alopecia in the six months preceding. Something very strange was happening in my body, and no one could offer expertise. Medical professionals often referred to me as “interesting” and were unable to offer me guidance other than to “monitor your blood sugar closely.” Picture the scene: You go from being an active athlete eating what you thought was a healthy diet to generally sedentary, out of energy and uncontrollably depressed. For the first time in my life, I was faced with a series of challenging questions for which no one seemed to have the answers. How do I inject insulin? How much? How often? What are the dangers of too much insulin? Too little? Are there foods I shouldn’t be eating? What are they? Can I still exercise? How much should I exercise? Should I eat while I exercise? How do I eat? What should I eat? What should I not eat? When should I eat? Being a senior at Stanford University studying mechanical engineering, my life was consumed with math, physics, the machine shop and lots of beer. I didn’t understand what I had done wrong. More importantly, I just wanted to be normal. I wanted to finish college and not have to worry about a complicated health condition that I didn’t fully understand. I’ll never forget the moment I decided to change everything. One night, I was sitting on the couch watching TV, recovering from a soccer game that I had played three nights earlier. My hamstrings were tight, my back was uncomfortable, and I was extremely tired. I checked my blood sugar, and it was 290 mg/dL—three times higher than normal. I felt out of shape, constantly dehydrated, lethargic and downright confused. I was frustrated, annoyed and out of control. It was in that moment that I hit rock bottom. Cyrus. The time has come. Learn how to eat. For the first time, I listened to that voice. And boy was I glad that I did. The next day, I went to a bookstore and started reading cookbooks on diabetes nutrition. In a nutshell, I was uninspired. I was already eating the way these books instructed, and my health was worse than it had ever been. Cyrus Khambatta went against mainstream education on diabetes and consumed a high-carbohydrate vegan diet rich in fruits such as mangos. His health has soared on this diet. The general advice that nutritionists and endocrinologists give people with diabetes is simple: restrict carbohydrate intake. Their logic is simple. Since carbohydrates metabolize to glucose and glucose is the source of blood glucose, limit carbohydrate intake in order to keep insulin usage low. At first, it seem like a very logical approach to managing blood sugar and overall health, but what I did not realize at the time is that this low-carbohydrate approach only treats the symptoms of diabetes (high blood sugar) and does not treat the underlying condition (insulin resistance). Insulin resistance is if the underlying condition of all forms of diabetes, including Type 1 diabetes, Type 2 diabetes and gestational diabetes. Insulin resistance occurs when the muscle and liver tissues become overloaded with lipids as a result of eating a diet high in fat and protein. So the low-carbohydrate approach increases fat and protein intake, which exacerbates the condition of insulin resistance, leading to an increased need for insulin in the long term. Less carbohydrates = less blood glucose = less insulin (in the short term). Less carbohydrates = more fat and protein = lipid overload = increased insulin resistance = more insulin (in the long term). After having eaten a low-carbohydrate diet for approximately one year, my health was worse than it had ever been. When I hit rock bottom, I knew that I needed a drastic change in the way I ate, I just had no idea what to do. That is when I decided to take matters into my own hands and seek out information from people with real-life experience. After hundreds of hours of reading, attending scientific lectures and talking with people, my mind was opened to the idea of eating a plant-based whole foods diet. The concept of veganism took me by storm and revolutionized my understanding of the difference between plant and animal foods. In this journey, I met a community of raw food vegans, who opened my eyes to the world of uncooked food. They told countless stories of abundant energy, increased vitality and reduced disease. 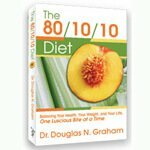 It wasn’t until I met Douglas Graham, author of The 80/10/10 Diet, in 2003, that I decided to give raw food-ism a try. Up until that point, I was moderately convinced by the community that I had met, however, I was still skeptical whether I could be a high-functioning athlete and eat uncooked food exclusively. I asked myself a simple question: Is it possible to be a competitive athlete and raw food vegan? I was skeptical but open-minded. Douglas Graham is an amazing individual, a phenomenal teacher and a shining example of a man who practices what he preaches. At the age of 23, I thought that I was nimble, strong, flexible, powerful and a good athlete. Doug could do everything that I could do but better. He was stronger, faster, had better balance, he could recover from athletics quicker, he had better mental resolve and he made me look like a child in many athletic events. His athletic prowess was enough to convince me that I should give raw food-ism a try. I figured that if my health didn’t improve, I could always return to the standard American diet. I had nothing to lose. Within one week, positive change was blatantly apparent. Instead of feeling lethargic, mentally groggy, dehydrated and physically fatigued, eating a truly healthy diet made me feel alert, fully rested, full of energy and eager to exercise hard. I felt limber, energetic and excited to be alive. For the first time in my life, I was gaining control of my health. It felt amazing. Within the first three days of changing my lifestyle, I was forced to reduce the amount of insulin because my body was becoming noticeably more sensitive to its effects. Over the course of the next two months, my total daily dose of insulin fell from about 45 units/day to about 25 units/day, a reduction of almost 45 percent. For the first time, I could predict my blood sugar readings 24/7. No longer did I feel out of control, victimized or confused. I was now the master of my own health. All because Doug Graham showed me a better way to live. And for that I thank him from the bottom of my diabetic heart. 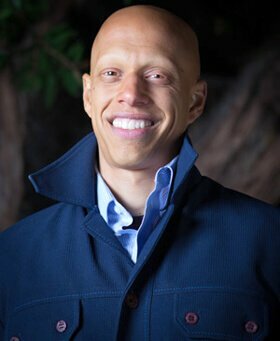 Fascinated with quick and profound difference that eating healthy had made to my personal health, I decided to return to school to study towards a Ph.D. in nutritional biochemistry at the University of California at Berkeley in order to understand the fundamental biology underlying insulin resistance, diabetes and nutrition. I was eager to understand the science behind the incredible experiment taking place within my body. In the process, I became a published author in peer-reviewed scientific journals and wrote a dissertation on the effect of calorie restriction on overall health and lifestyle factors that influence Type 2 diabetes. I actually have not reversed anything, but all three of my autoimmune conditions have seen significant improvement. Because Type 1 diabetes does not currently have a cure, the most important thing that anyone with this condition can do is reduce their insulin usage. There are a lot of people with Type 1 diabetes who are constantly asking for a “cure”; however, this doesn’t exist right now. That being said, I have reduced my insulin usage by more than 40 percent. I still also have Hashimoto’s thyroiditis; however, I have been reducing my dependence on thyroid medication consistently over the past two years. Generally, people with Hashimoto’s experience an increase in the amount of synthetic thyroid medication they require over time, and their dosage increases accordingly. I have been fortunate to stabilize this process and slightly reverse it. I am, however, still hypothyroid but moving in the right direction. The third autoimmune condition that I have is alopecia universalis, which is 100 percent total hair loss. I consider it a blessing in disguise, because I love having no hair and actually do not want it to return. However, my girlfriend notices that I do have random hairs that pop up all the time, sometimes on my legs, sometimes on my shoulders, sometimes on the back of my neck. Whether or not this condition will ever reverse itself is unknown. That being said, I’m not very interested in making that happen. 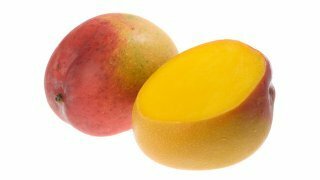 I started MangomanNutrition.com in 2013 to teach people with diabetes the fundamentals of lifestyle management through informed nutrition and exercise. By providing nutrition and exercise coaching, I have been able to positively influence the lives of Type 1 and Type 2 diabetics and enable them to resume their lives free of the stress that having an uncontrollable and life-threatening chronic disease can create. I teach individuals how to identify lifestyle habits that are sabotaging their quest for exceptional health. My clients follow a six-month, small-group, community based curriculum that focuses on plant-based whole foods nutrition and strategic fitness training. The program is modeled after a highly effective, evidence-based approach from human clinical trials that focuses on small-group interaction to provide the two factors that promote successful lifestyle change: accountability and community. Cyrus Khambatta and his girlfriend goof off in posing for a photograph. Two current clients are prime examples of the powerful effects of my program. The first is a 60-something gentleman who had developed Type 2 diabetes as a result of a sedentary lifestyle, poor diet and frequent chemotherapy for small-cell lung cancer. In working closely with him, he adopted new lifestyle habits almost immediately and witnessed his fasting blood sugar fall predictably and consistently. Through trial and error, he developed a solid understanding of the connection between dietary fat intake, exercise, stress and insulin usage. Within two months, he had lost nearly 30 pounds, was exercising multiple times per day and had completely changed his outlook on whole foods nutrition. By the third month, Type 2 diabetes was a thing of the past. He now enjoys his life free of diabetic equipment, medication and anxiety. The second client is a high-intensity athlete who developed Type 1 diabetes at the age of 24. Her blood glucose values were as high as 400 mg/dL, four times their normal value. She was told not to exercise, to limit her intake of carbohydrates and to eat foods high in protein and fat in order to minimize insulin usage. She tried it, and it didn’t work. I taught her the fundamentals of muscle physiology, and in a short period of time, Maggie adopted lifestyle changes that brought her blood sugar into the target range within the first 30 days. Within one week, she was able to return to long-distance trail running, and within one month, she was able to resume mountaineering training to set the world record for the fastest ascent of 15 14,000-plus-foot mountains. My goal as a coach, educator and scientist is simple: to inspire diabetics to live their lives in the driver’s seat by adopting lifestyle habits that reverse the effects of insulin resistance. The epidemic of diabetes is a very preventable phenomenon and it is, therefore, vital for people with diabetes to understand that focus, determination and impeccable habits can lead to a disease-free future. Cyrus Khambatta earned his Ph.D. in nutritional biochemistry from U.C. Berkeley and a bachelor of science in mechanical engineering from Stanford University. He was diagnosed with Type 1 diabetes at 22 and has spent the past 11 years of his life studying pancreatic islet cell failure and insulin resistance. 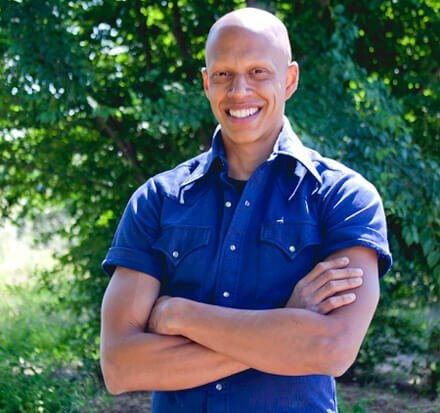 Often described as enthusiastic and passionate about nutrition and exercise, Cyrus works with clients across the globe through Mangoman Nutrition and Fitness coaching to teach the principles of attaining top-notch blood-sugar control by reversing the root cause of diabetes—insulin resistance—instead of just treating the symptoms of high blood sugar. He recently published the Carbohydrate Ninja Recipe Guide. Does cyrus khambatta’s way of eating cause cancer to grow? Thanks for asking, Guinlan. Many have healed and prevented cancer diagnoses from leading a fruit-based raw vegan diet. You can explore more about cancer on my website: https://www.fruit-powered.com/?s=cancer. 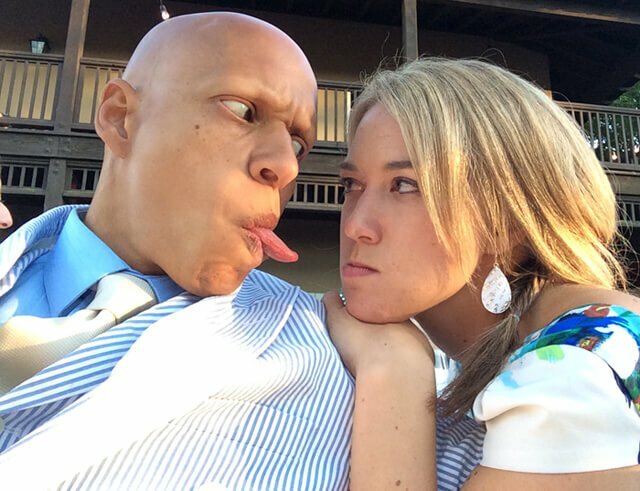 Megan Sherow reversed stage 3 brain cancer with this diet: https://www.fruit-powered.com/megan-sherow/. I’m 72 type 2 diabetic and cannot afford to go to your seminars. Not being very athletic, but implementing what info I can get from the website, it seems to start to work lower glucose. Guinlan, just so you’re aware, this is not Cyrus’ website. This website belongs to me, Brian Rossiter. If you are interested in raw food coaching, you can explore what I offer here: https://www.Fruit-Powered.com/fruit-powered-life-force-center/fruit-powered-lifestyle-coaching-program/. I also work one on one with clients who want to eliminate chronic pain, enjoy a functional body and get into the best shape of their lives: https://www.Fruit-Powered.com/posture-exercises-method-pain-relief-peak-performance/.